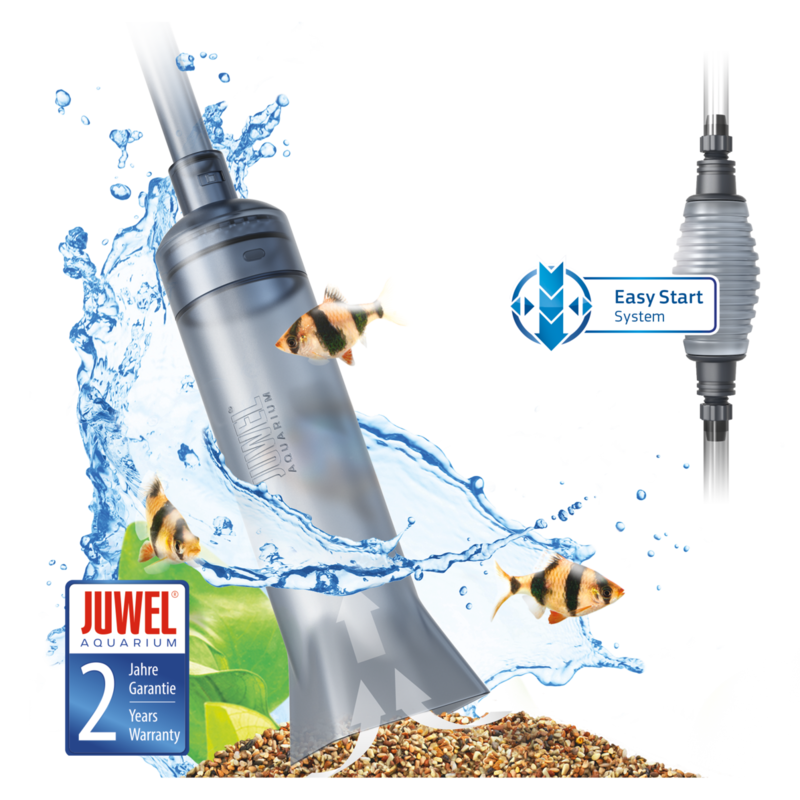 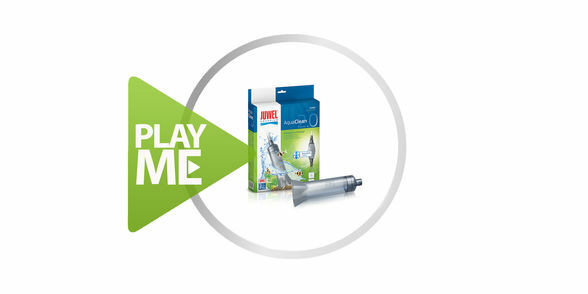 The JUWEL AquaClean 2.0 is the ideal tool for cleaning the Juwel inside filter and the ground material in your aquarium. 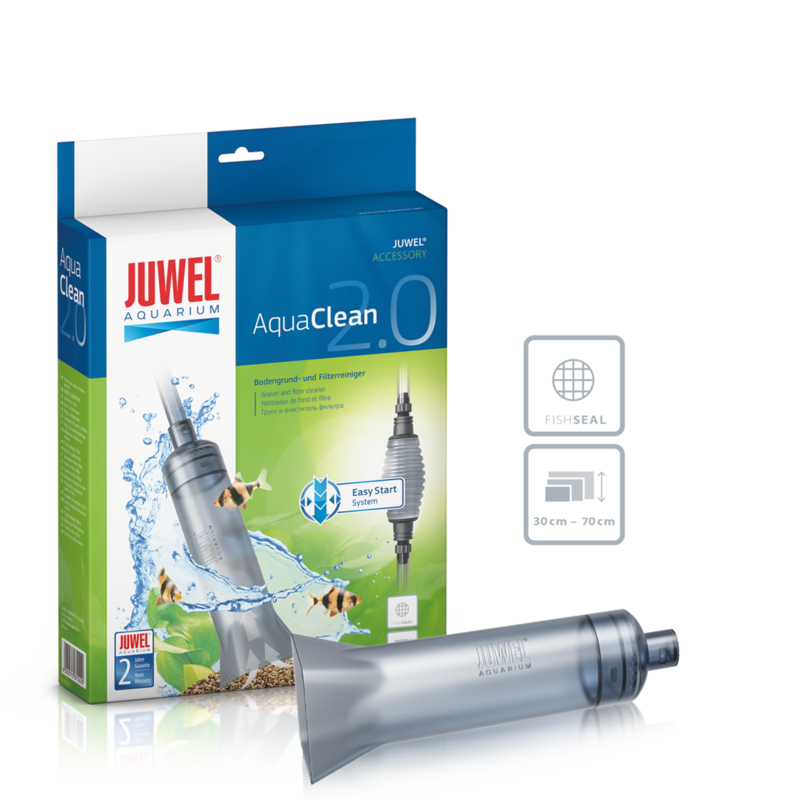 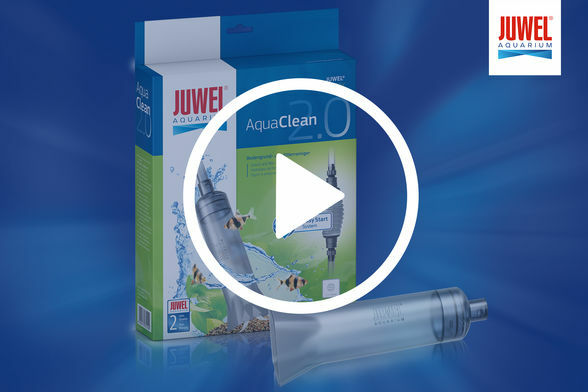 The JUWEL AquaClean 2.0 is a revised version of the familiar JUWEL AquaClean and is the ideal tool for cleaning your Juwel internal filter and the ground material of your Juwel aquarium. 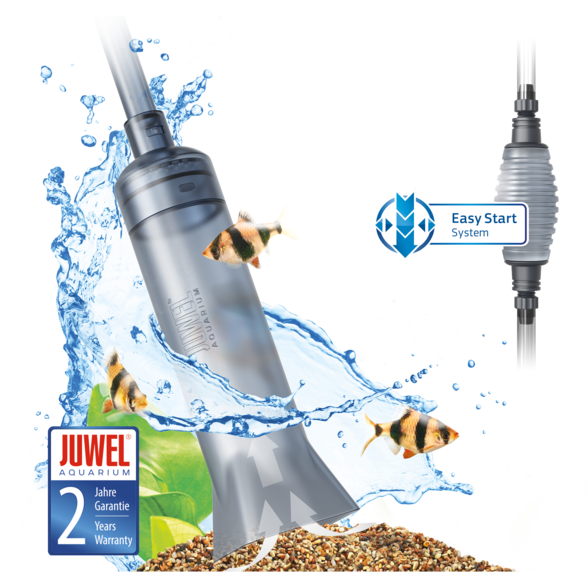 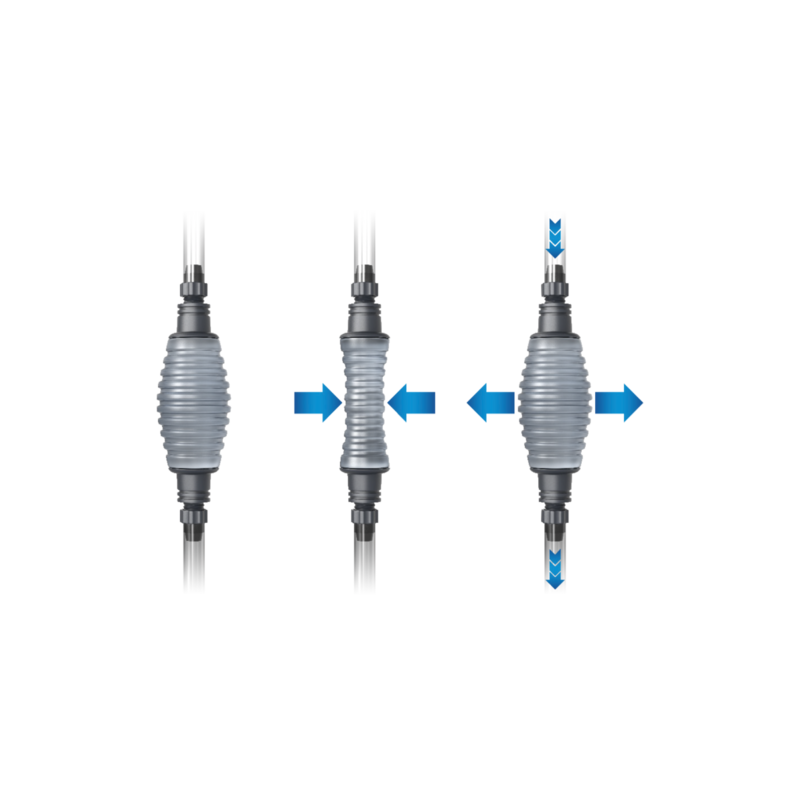 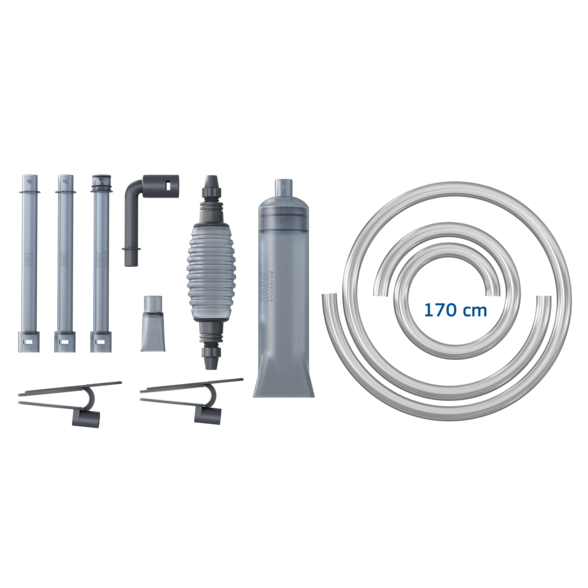 Thanks to the individually combinable intake tube, the AquaClean is suitable for aquariums with heights of up to 70 centimetres. 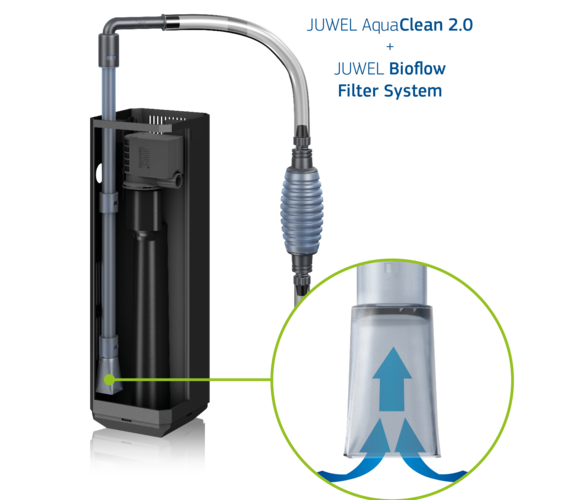 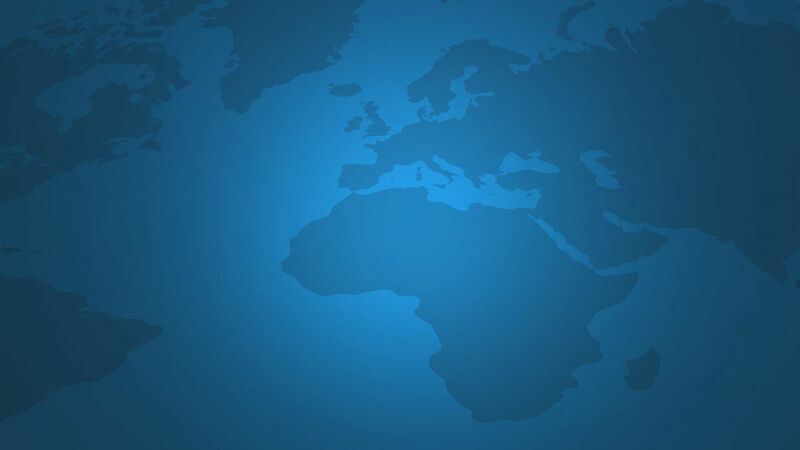 In addition to the simple cleaning of the ground material, the JUWEL AquaClean 2.0 enables the convenient cleaning of your internal filter even in areas that are difficult to reach thanks to the special attachment. 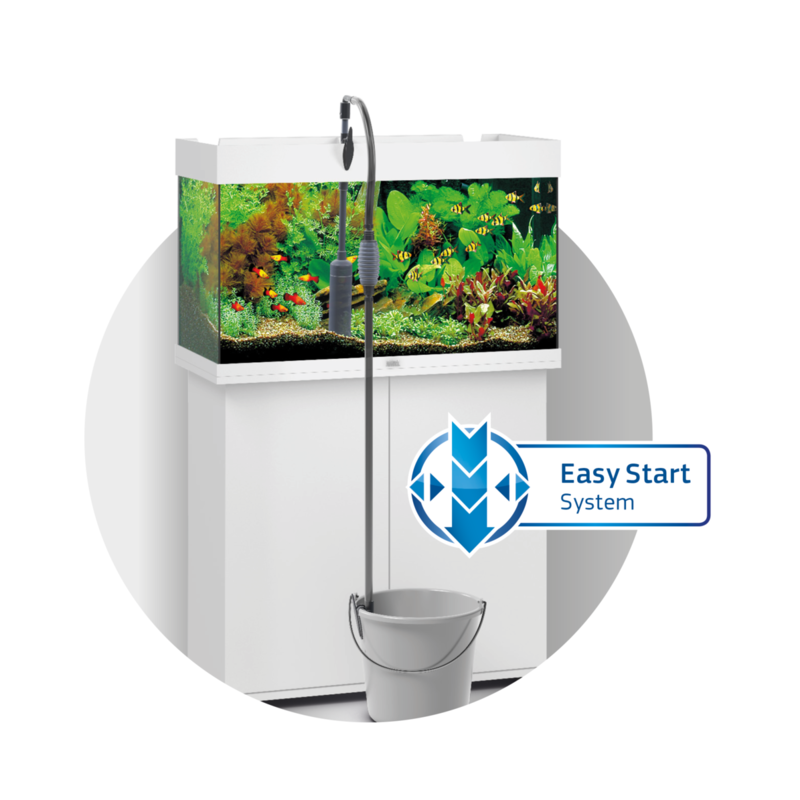 The Easystart system activates the flow of water with a simple squeeze of the pump and the dirt is transported without inconvenient suction into the bucket. The JUWEL AquaClean 2.0 may be fastened in a simple manner to the bucket and aquarium using the enclosed clips.